Summer is upon us and many of you by now will have booked your holiday (if you haven't then contact us for inspiration). Whether you are planning to stick to your sun lounger, see the sites or get active, most of you will be taking a book or kindle with you. If you are stuck for inspiration then take a look at the recommendations below, as voted by...you! A truly entertaining read. Eleanor is a creature of habit, going to her mundane job each day, eating the same food all the time, dressing in her safe unfashionable clothes and has no social skills. Eleanor lives alone and has no friends but she has an obsession for an awful musician, whose tweets she follows. Speaks to her condescending Mother on the phone at weekends and drinks two bottles of Vodka. Her life begins to change though after a series of events involving a rare act of kindness. We begin to learn the truth about Eleanor and feel we want her to overcome her fears and live a happier life. Soon to be made into a film this book has humour, sadness and surprises, all rolled into one. Read Terry Pratchett’s Witches Abroad. If you haven’t read any Discworld novels this book will be a great introduction and a compulsive, fun holiday read. It’s really the third of the witches books I think but I ignore this. The story follows Granny Weatherwax who has never taken a holiday and decides it’s time to do so. You can read about her holiday adventures while you have your own new experiences. I feel sure that you will want to do as I did and read the whole Discworld series. A colourful book of excellent nonsense. A story of the disappearance of 15-year-old Lilly Brennan and her sister’s search for answers but nothing will prepare you for the shocking truth. The narrative slowly unfolds to reveal the heart-breaking destruction of a family struggling to deal with grief and loss. I was mesmerised by the description of family life in the hot summer of 1976 in Southern Ireland. This is an intelligent and beautifully written book with stunning language. A wonderful debut novel whose characters will stay with me for a very long time. Any Peter James, Inspector Grace Novels, read in order of publication, 1st one ‘Dead Simple’. Different thriller each book but detectives story entwined in each book so follow in order. Can’t wait for next one, read them all, great if you like a good page turning thriller. Crisps sweets, biscuits, which is the best in each category? You decide. Little anecdotes about each entry keeps you interested. Guaranteed to give you a fact that you didn't know before. I loved it. Congrats to Anne Elibol who has won a £ 10 Amazon voucher to spend on her next holiday book! Did you miss out on this competition? Want to be notified of the next one (coming soon...)? then sign up to our newsletter, or follow us on social media to be among the first to know. 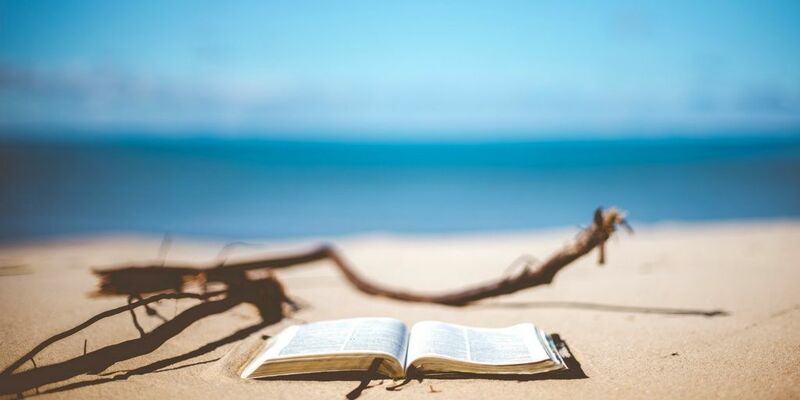 Top reads for downtime during an active sun holiday!